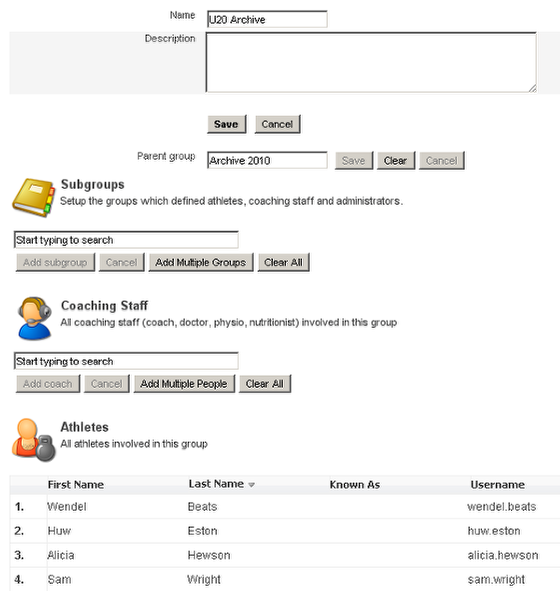 You can choose to archive athletes from one group or multiple groups into an "Archive" group. The image here shows that Archive 2010 is set as the parent group with 2 subgroups ( Podium and U20 )to be used for different analysis purposes. 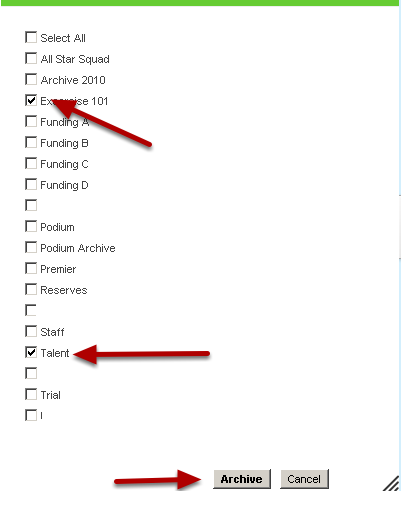 Choose which groups you want to archive and send to the previously selected group. This will remove all of the athletes from these groups and the athletes will only appear in the Archive group. Select the Groups you want to Archive and select "Archive". For the example here, this will remove ALL of the athletes from the Exercise 101 group and the Talent group and they will now be part of the U20 Archive. Ensure that you have selected the correct groups and then click OK. If you are not 100% sure that you have set up the grouping structure or that you have not selected the correct groups click "Cancel" as archiving feature cannot be undone. Click "OK" to archive the athletes. Open up the Archive Group to see the newly added archive athletes. The example here shows the U20 group. 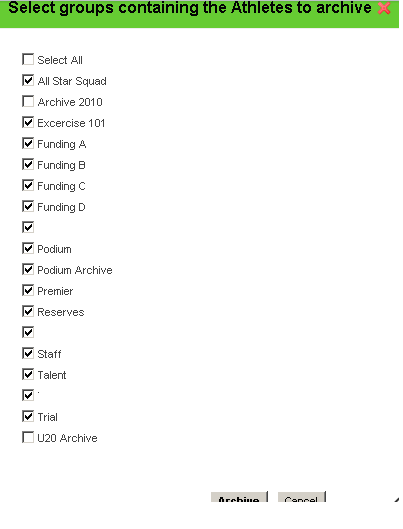 The athletes will be moved to the selected archive groups and the athlete groups that were selected to be Archived will be empty and ready for new users to be added to. To add new athletes into these groups, you can import them, or add them one at a time or copy them from existing groups. Archive all groups (either into one main archive group, or the correct subgroups). 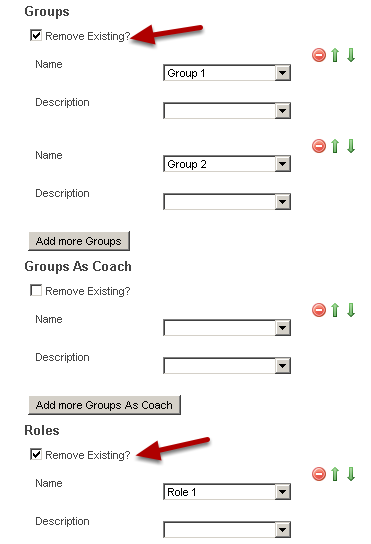 Import multiple grouping structures or new roles and ensure you select "remove existing" to remove the athletes from any groups they are currently in. If the import was successful, you will have an error message saying the users were not imported as that username already exists, but you will receive a message saying they have been added to the new groups/roles.